So you want to win a Lion at Cannes this year? Good luck with that. And to what end anyway? So you can put it on a shelf, let it collect dust and hope it leads to new business? How about a more proven method? How about a method that can increase your revenue 3,597 percent? Oh, you think this is yet another cheesy white paper offer? Well it is a whitepaper offer but it's not cheesy in the least. Smart agency owners know that survival requires an imminent shift toward digital marketing services like blogging, content creation, search engine optimization and social media. But that transition is easier said than done. Much to the chagrin of the geeks, the ad industry has firmly latched onto SXSW and is doing its part to get a piece of the startup pie. One agency, JWT, has decided to launch a pop-up agency at SXSW that will last just five days from March 8 until March 12. Called Walter, the agency will meet with 25 startups and choose the candidates it feels have the best offering and, of course, the provide best return for the agency. 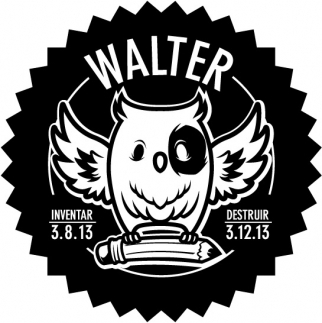 Partnering with startup accelerator TechStars, the agency launched a pop-up website, Call Us Walter, to attract potential clients. 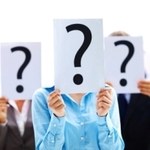 Talent Pool: Are Specialists Endangered? 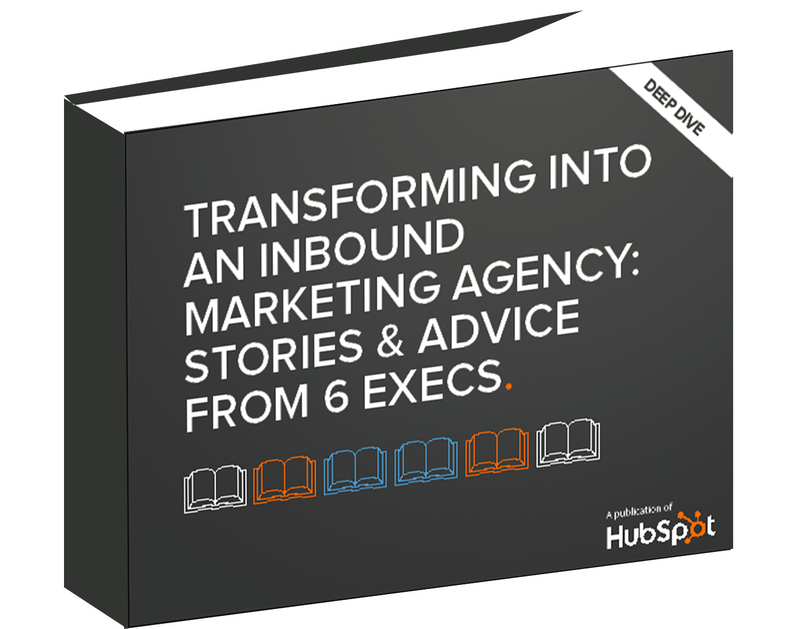 In some of our past coverage, we've touched upon the changing nature of professional experience needed to form effective creative and marketing teams, how those teams should be structured and how agencies are reinventing themselves as the market has shifted away from the traditional agency of record model. Add to that the notion of pi-shaped talent which, like T-shaped talent, describes a person with broad knowledge in all areas but adds capability for both left-brained and right-brained skills, and you have a dramatic shift in workforce expertise. This shift toward a workforce that possesses a multifaceted skill set begs the question: are specialists endangered? I think not. 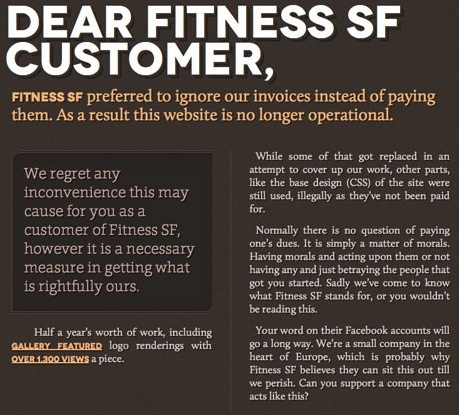 Web designer Frank Jonen, who did web design work for Fitness SF, claims he wasn't paid properly so he hijacked his client's site replacing it with a damning message telling Fitness SF customers the company doesn't pay its bills. This might be the perfect example as to why no brand should completely hand the keys to its website over to a third party without retaining at least enough control to access the site and correct situations like this. Alas, not everyone knows how to manage a website. And besides, if Fitness SF hasn't paid its bill then this is probably what they deserve. We just hope Jonen requested payment several times through normal channels before resorting to this method. Below is the full text of the website message. Making good use of this month's app of the moment, RedSquareAgency is using Vine to create customized Valentine's Day Messages. Coupling with Vine's #Valentine initiative, the agency will send a personalized Vine message to those who tweet @redsquareagency or who visit ValenVine. Out for about a month (OK, two years and one month! ), this video from john. st. examines the scenario of a simple birthday party which, if planned properly, is no small task and requires artful skills to pull of successfully. 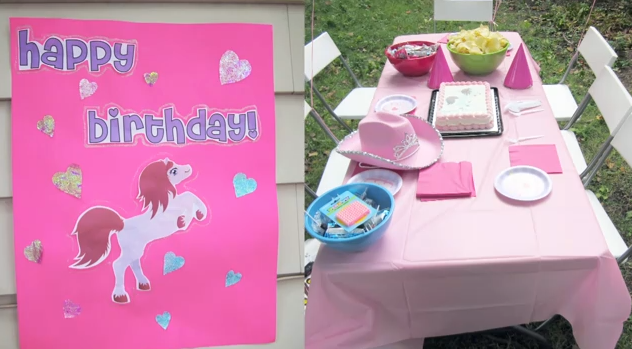 Using this analogy, john st, magically convinces us that if they could pull off the perfect birthday party, just imagine what they could do for a brand. OK this is hilarious. 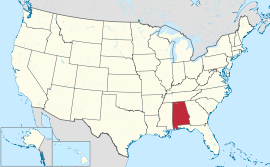 Alabama-based Red Square Agency is announcing that they are shocked and offended by a video report published on Feb. 6 by The Onion titled "PR Firm Advises U.S. To Cut Ties With Alabama." Red Square Agency stated, "This is the newspaper that gave us such unforgettable headlines as 'CIA Realizes It's Been Using Black Highlighters All These Years,' 'Osprey Devours Lion in Massive Food-Chain Shake-Up' and 'Wealthy Teen Nearly Experiences Consequence.'" Buying media can be expensive, time-consuming and an overall failure if it's not done correctly. The question is: how do you ensure your investment will provide returns? 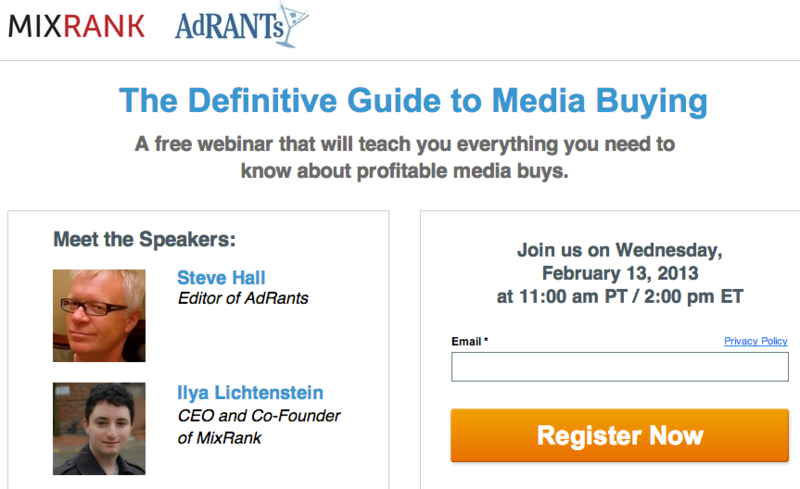 The Future of Engagement host, Murray Newlands and CEO of MixRank Ilya Lichtenstein join Adrants' Steve Hall (that would be me, don't laugh) in a webinar in which we walk you through a new method of media buying, showing you exactly how to buy traffic profitably. Ready for this Sunday's Big Game? Well, the team at Red Tettemer + Partners is, and they'd like to invite everyone to play their Super Bowl XLVII Commercial Bingo Cards. All you have to do is mark off the things you see in commercials according to the quarters. 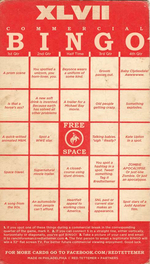 If you get Bingo, email an image of your winning card to ranchforeman@redtettemer.com. The first person to send a winning card will win a 32" flat screen TV. 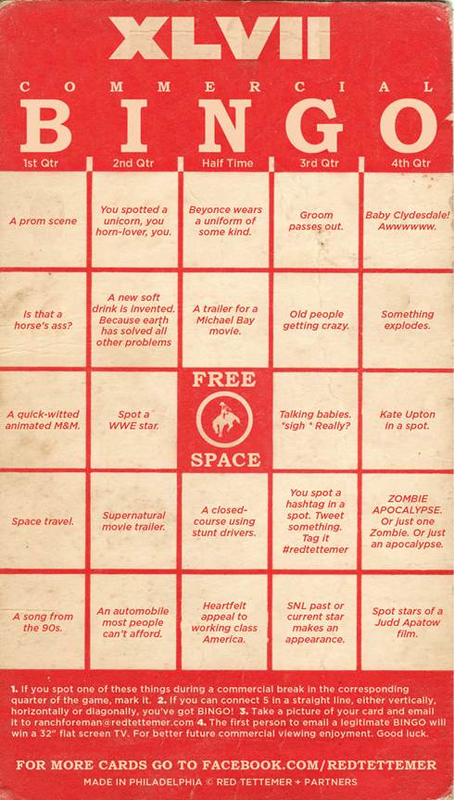 Additional Bingo cards will be posted to a photo album on RT+P's Facebook page throughout the weekend. - The new American Airlines logo is great and all but could people really see it from the ground? - The One Club's Annual Creative Hall of Fame event that is taking place in NYC this coming Tuesday night. This year, Advertising Legends Steve Hayden, Martin Puris, Jim Riswold and John Webster are being honored for their lifetime of achievements in the industry.